King Hu (Chinese: Hu Jinquan) was born in Beijing on April 29, 1932. King Hu was a Chinese film director who worked from Hong Kong and Taiwan. 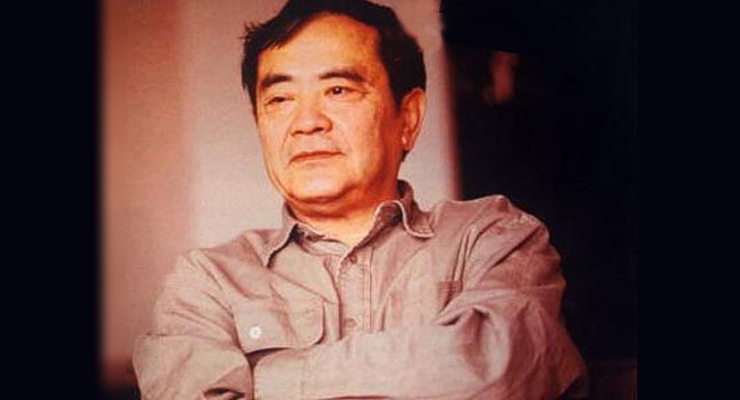 During the 1960s and 1970s, he brought Chinese cinema to new technical and artistic heights through his direction of various wuxia films including Come Drink with Me (1966), Dragon Gate Inn (1967) and A Touch of Zen (1969–1971). Along with film directing, Hu was also a screenwriter and set designer. King Hu came from a well-established family whose origins were in Handan, Hebei. His grandfather was the governor of Henan in the late Qing Dynasty. After moving to Hong Kong in 1949, Hu worked at a variety of occupations. 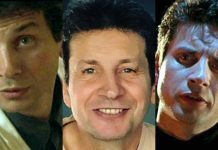 He was an advertising consultant, artistic designer, a producer for a number of media companies, as well as a part-time English tutor. It was in 1958 that he entered the entertainment industry in Hong Kong by joining the Shaw Brothers Studio as a set decorator, actor, scriptwriter and assistant director. Under the influence of Taiwanese director Han-Hsiang Li, Hu began his directorial career. As Li’s Assistant Director, Hu helped direct the very successful The Love Eterne (1963). Hu’s directorial debut was made with his film Sons of the Good Earth (1965), a film set in the Second Sino-Japanese War, but he is better remembered for his next film, Come Drink with Me (1966). Come Drink with Me is his first success and the film remains a classic of the wuxia genre even today. It was King Hu who began using women as the heroines in his films and Come Drink with Me made a star of 20-year-old Cheng Pei-pei. It was King Hu’s blending of Japanese samurai film traditions with Western editing techniques and Chinese aesthetic philosophy borrowed from Chinese music and operatics, that began the trend of a new school of wuxia films. Leaving the Shaw Brothers Studio in 1966, Hu traveled to Taiwan, where he made another wuxia movie, Dragon Gate Inn. Dragon Gate Inn broke box office records and became a phenomenal hit and cult classic, especially in Southeast Asia. 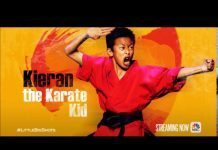 This tense tale of highly skilled martial artists, and superb swordsman hidden in an inn in some ways resembles Ang Lee’s Crouching Tiger, Hidden Dragon (2000) and was said to be the inspiration behind it. Zhang Yimou’s House of Flying Daggers (2004) was also said to be dedicated to Dragon Gate Inn. 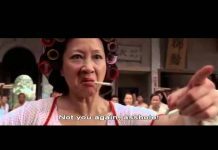 In 2003, the award-winning Malaysian-born Taiwanese director and writer Ming-liang Tsai made Goodbye, Dragon Inn, a tribute to King Hu, in which all the action takes place during a closing cinema’s last showing of Dragon Gate Inn. 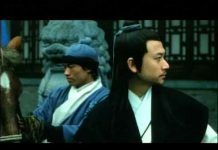 Considered chief among films which exemplify King Hu’s blend of Chan Buddhism and unique Chinese aesthetics is his trilogy A Touch of Zen. 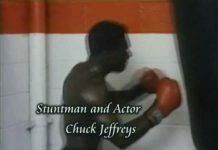 This film won the Grand Prix de la Commission Superieur Technique (Best Interior Photography and Color Prize) in 1975 Cannes Film Festival, and many regard this film as his masterpiece. Other films include Raining in the Mountains and Legend of the Mountains (1979 and shot in Korea), all of which were loosely based on Pu Songling’s Strange Stories from a Chinese Studio. 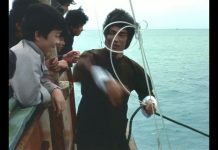 After releasing A Touch of Zen, Hu started his own production company and shot The Fate of Lee Khan (1973) and The Valiant Ones (1975) back to back on very tight budgets. The action choreography in both these films was the work of Sammo Hung. Though critically hailed, Hu’s later films were seemingly less successful than his first two films. Late in his life, he made a brief return from semi-retirement in The Swordsman (1990) and Painted Skin (1993), but the latter never achieved the renown of his first two, financially successful wuxia films. King Hu spent the last decade of his life in Los Angeles. He died in Taipei of complications from angioplasty on January 14, 1997.